Weight: 700 gr glass jar. Ingredients: Cauliflower, carrots, celery, zucchini, red and yellow peppers, onions, mangetout (sugar peas), water, vinegar (contains sulphites), sugar, salt, acidifier: citric acid. Description: Mix of fresh chopped vegetables, boiled in water and vinegar and carefully placed in glass jars. 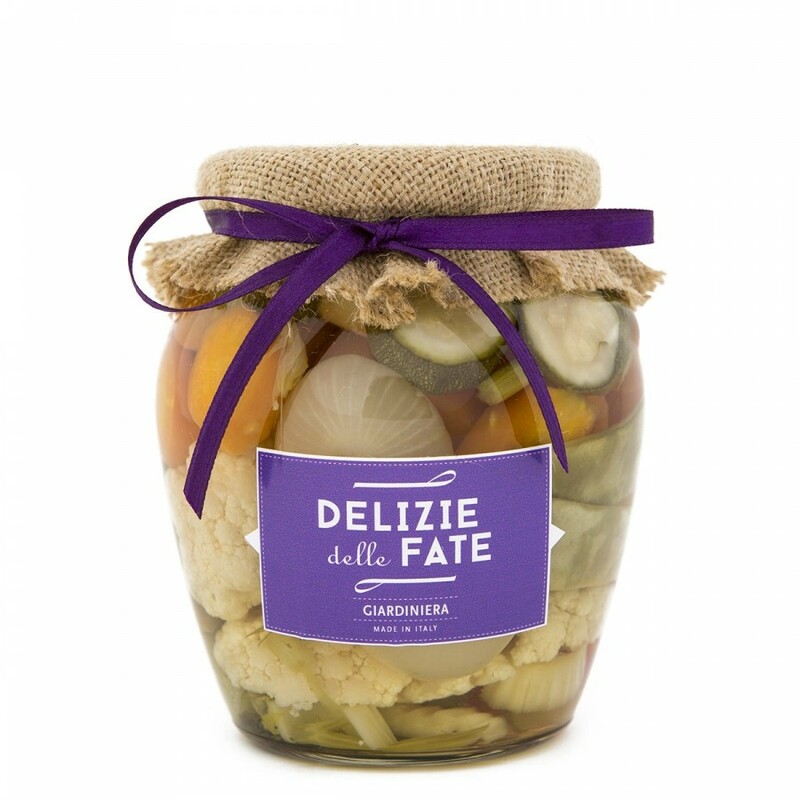 The Ligurian “giardiniera” is an ancient way of preserving part of the abundant summer vegetable harvest until winter. You may appreciate its taste by combining it with fish appetizers (tuna, sea bream, mackerel, anchovies) and traditional Ligurian baked products (“ciappe”, “brichetti” and “grissotti”).